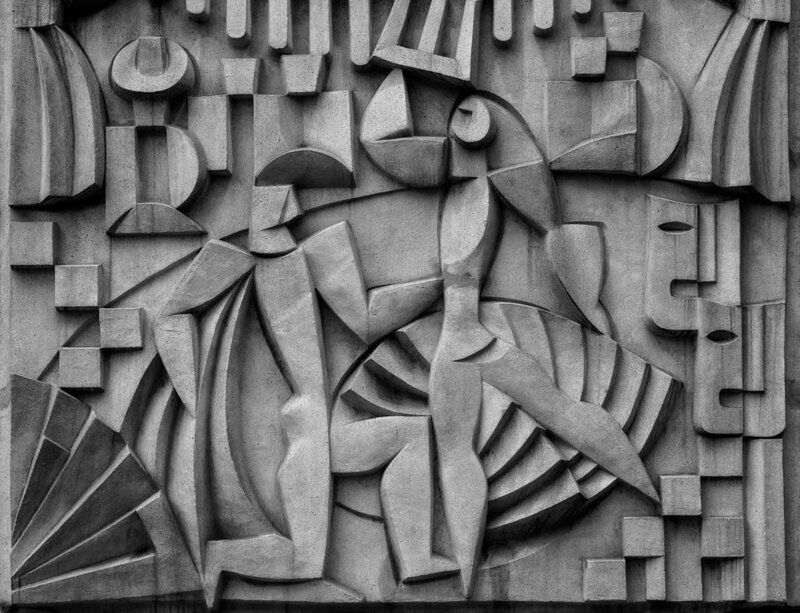 A lovely, figurative detail in stone in the Mitte precinct of Berlin, Germany. Structure is an important consideration underpinning composition. When it comes to photography it’s important to think about the way your photos are structured. In the beginning the process is quite deliberate and based upon fundamental concepts of composition. The good news is that, after a while, such considerations become intuitive. Before you know it you’re decisions will occur so quickly that you’re barely aware you’re making them. The above photo was made in the Mitte precinct in central Berlin. I was stumbling back to my hotel after a very hot day wandering around town. As my explorations included visits to several museums I didn't have a tripod with me. That made making the image difficult in the fading twilight. I remember feeling really tired so, after several slow, deep and deliberate breaths, I set my body to be able to hold the camera nice and steady. I'm really happy with the result, which I've rendered into black and white to emphasize the shapes carved into the stone. 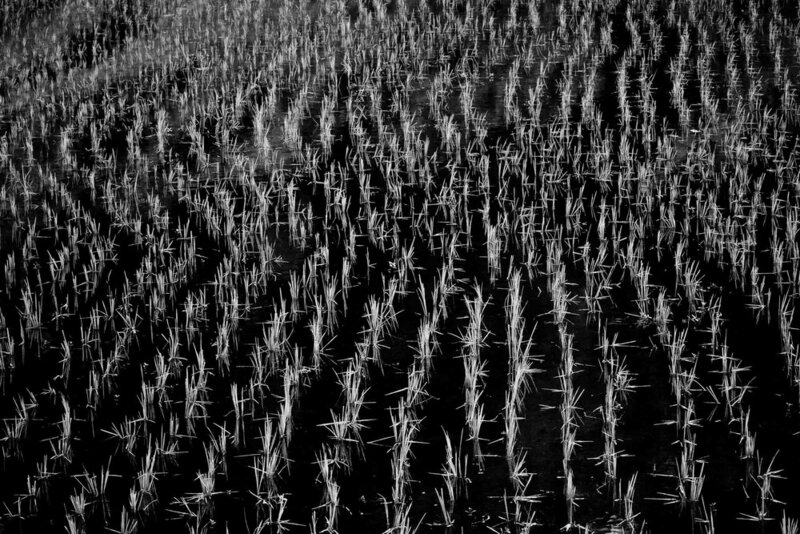 This black and white image of a rice paddy in Bali, Indonesia draws attention to the compositional elements of the scene, particularly line, texture and contrast. Lines and shapes are amongst the most important elements of composition. Sometimes line and shape are clearly defined, as is evident in the photo at the very top of this post. Other times they’re not so obvious to the point of being little more than a suggestion. I think that’s the case with the curved lines formed in this rice paddy in Bali, Indonesia. 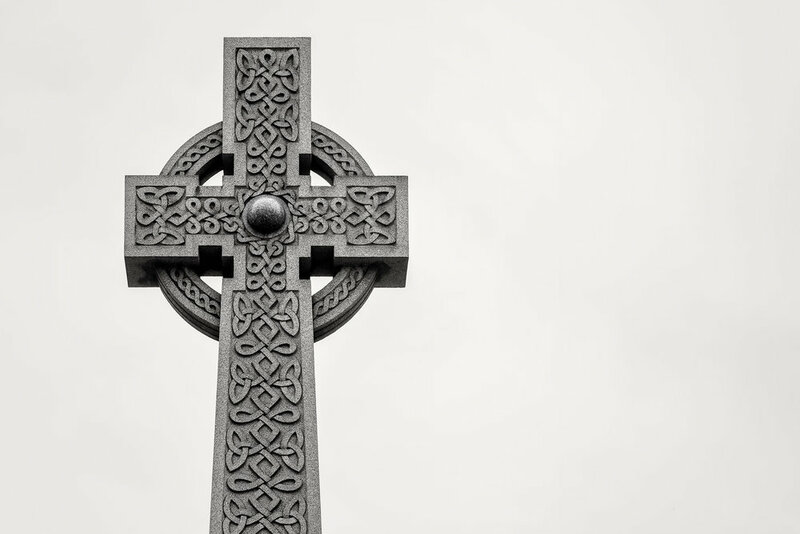 A stunning stone Celtic cross in Melbourne, Australia. It’s interesting how space can be used to suggest shape. 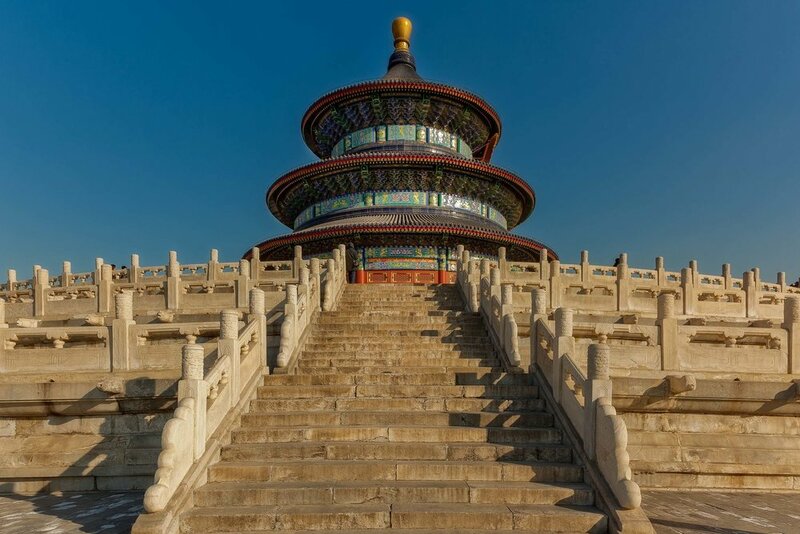 For example, it's the tiny spaces around much of the two central figures in the photo at the top of this post that helps them to visually project outwards from the other shapes that surround them. Likewise, the large near white space surrounding the stone Celtic cross serves to draw attention to the cross. That’s because the human eye seeks information. While the mind may be eased by the void it will, soon enough, seek a point of interest to focus our attention upon. This quote could be interpreted to mean numerous things. In relation to the photo in question I think it speaks to the value of another element of composition, negative space. While primary space refers to the primary focal points within a photo, negative space refers to the areas that surround those points of interest. If you really like the image and would like to see it filling more of your screen simply click on the photo for an enlarged viewed. The same is true for any photos on this site. How good is that? You might like to spend a few minutes looking at some of your favorite photos, from your own collection, to see if you can identify how you’ve used line and shape to produce more interesting images. Remember, photos are not just about the subject matter (e.g., face, building, flower) depicted, they can also be studies in composition and, of course, light. Picasso (e.g., Weeping Woman) and Monet (e.g., Sunflower) would probably agree with that statement.